I must be absolutely crazy. As The Primitique gets closer to opening, I find myself wanting to share. 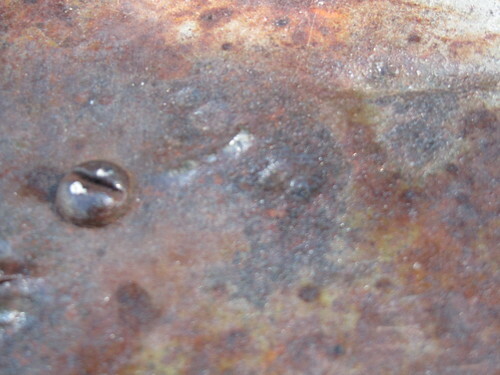 Generally, I show a picture and leave you to guess. This white chippy divine piece? 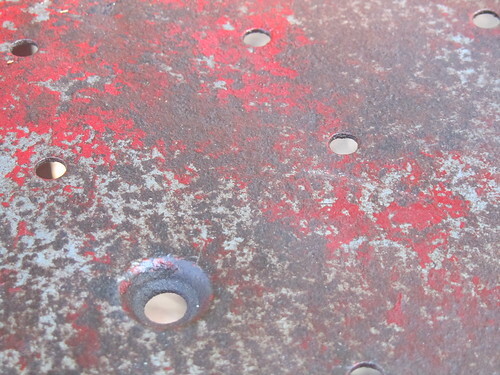 It's an old metal youth bed headboard. 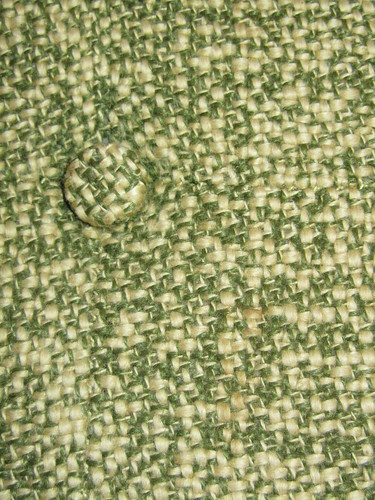 This green fabric and button? A fabulous green chair. I have its twin, too. 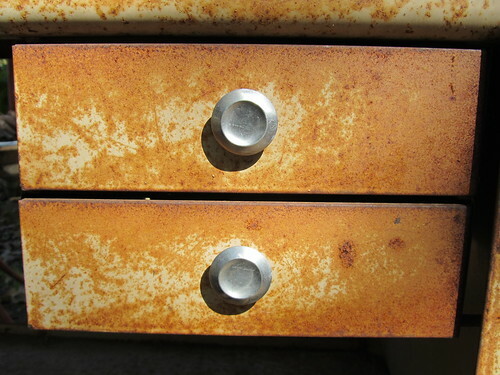 These drawers belong to an old, metal child's desk. We are looking forward to opening Saturday, October 30, 10-5. Do you think details such as lighting, electricity, walls and doors are necessary for us to have a good time? I hope not! EEEEK! We look forward to sharing the Big Picture with you! I'm excited!! I live in Greenville and I'm ready for someplace like this! I am soooo excited for you!!! You are going to have an amazing shop:)Can't wait to see photos of the 'grand opening'!! And I heard that you are going to carry the "Saddle Tramp". Does it get any better than that???? Great pieces! Hope your final stages of getting your shop ready go real smoooooooothly! 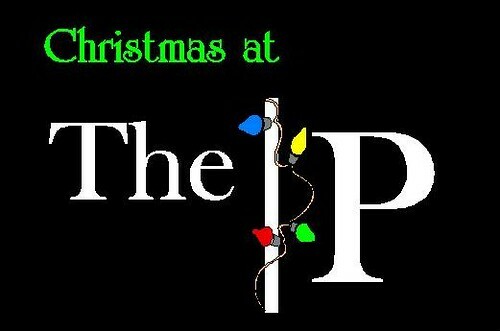 LOVE that The P Christmas logo! Too, too cool! That is a great photo of you too! 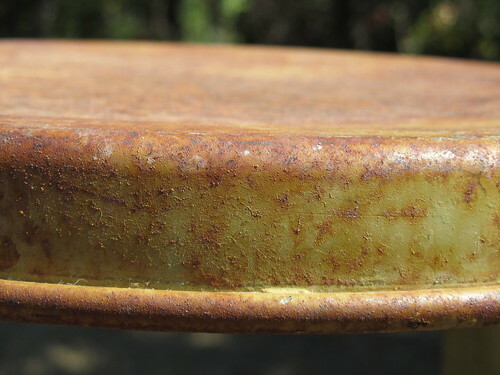 I know you will have tons of neat items for your open house...you always do! Judy! I rejected instead of approved! Thank you! ???? Is the building not ready???? How on earth will you be able to move it...you're kidding...RIGHT? I'm doing my darndest to come to both...keep those fingers crossed. P.S. Did JOR design the Christmas logo? It's darling. OOOHHHH! 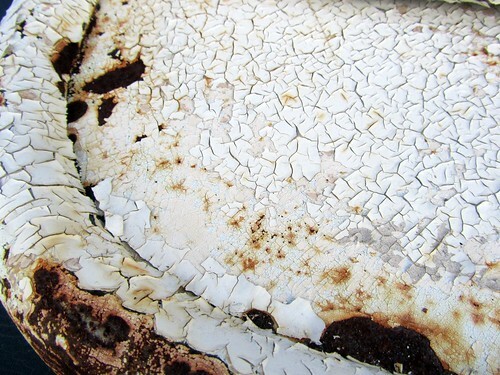 Great pics....rust, chippiness, more rust! Lights, electricity, walls....that stuff is all so over-rated! Best wishes!! wish I could be there...looks like you have lots of great stuff for your opening! Looks like some fun stuff!! Don't sweat the small stuff girl...candles, vintage curtains make for great walls, just have some good ole rusty wire to hang them from, and who needs a door, just hang a Texas Rangers flag, and you are good to go!!! Awesome! Wish I could be there to see! I know it will be! Have a wonderful Grand Opening. It should be awesome!! Looks like you have some very interesting items!!! I know your Opening will be fabulous!